Welcome to OLL Senior High Youth Ministry! *Please note that this film is rated R. Any student under the age of 17 must have a signed permission slip on file to view. You may complete that below. Image used with permission of Swank Motion Pictures, Inc.
We are notifying parents/guardians that Our Lady of the Lake Youth Ministry and Confirmation Program will be watching a film with an “R” rating. Instructional objectives: To help young people understand the reality of Jesus’ passion: his suffering, death and Resurrection and discuss how it relates to their lives. 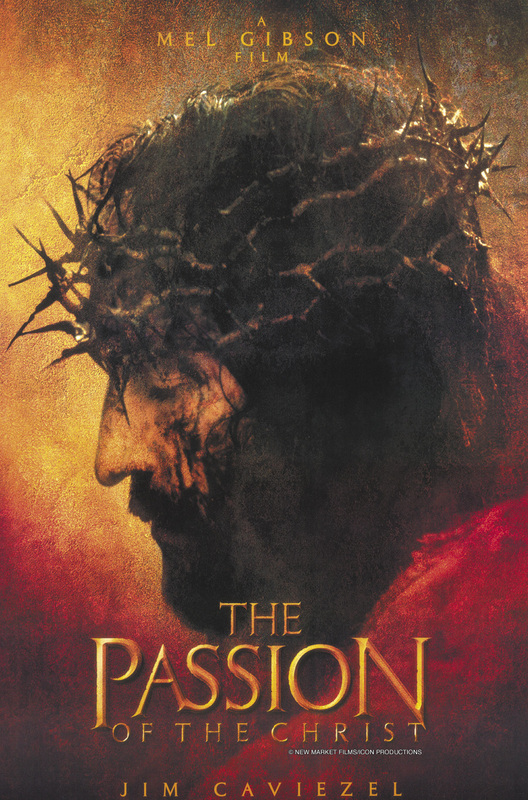 Mel Gibson’s film depicts an artistic representation the last twelve hours of Jesus’ life in graphic detail. Violent sequences show realistic depictions of events such as the Scourging at the Pillar, the Crowning with Thorns, the Carrying of the Cross, and Christ’s crucifixion and death. Other disturbing moments in the film involve a scene in which Judas commits suicide, demons depicted as children, and Satan portrayed as a feminine character. Too often, Christ’s death can become a trite symbol. We hear about it so much that it looses meaning. We don’t think about the scandal of the cross and the agonizing suffering and death Jesus endured out of love for each of us. Roman crucifixions were brutal, and this film depicts the truth of the horrific violence he actually endured. It is our hope that by watching this movie, young people will come to more fully understand and respond to the central mystery of the Catholic faith— Christ’s death and resurrection— in a deeper way. By signing below, I hereby give permission for my son or daughter to watch the film listed above. Without this permission, s/he will not be able to view the film. The movie listed is being viewed by members of Our Lady of the Lake Youth Ministry and Confirmation Program and has been rated R for the reasons above. If you have any questions about this activity, you can contact Youth Minister Michelle Boris, via phone:(952) 472-8208 or email: mboris@ourladyofthelake.com. Note that you must sign this. This will be the main contact number. Are you a confirmed high schooler looking for a way to help others grow in their faith and grow in your faith as well? Join our Junior Core Team! Junior Core helps with Edge Middle School Youth Group meetings on Wednesday nights. Check out more information about Edge and what it takes to be a Junior Core member here and be sure to apply below! This form is meant to serve as an information resource for parishes and Catholic schools in the Archdiocese. It will not be submitted as part of the background check process to the McDowell Agency. All volunteers who have regular or unsupervised interaction with minors or vulnerable adults must return a completed form to their parish or Catholic school prior to beginning volunteer responsibilities.